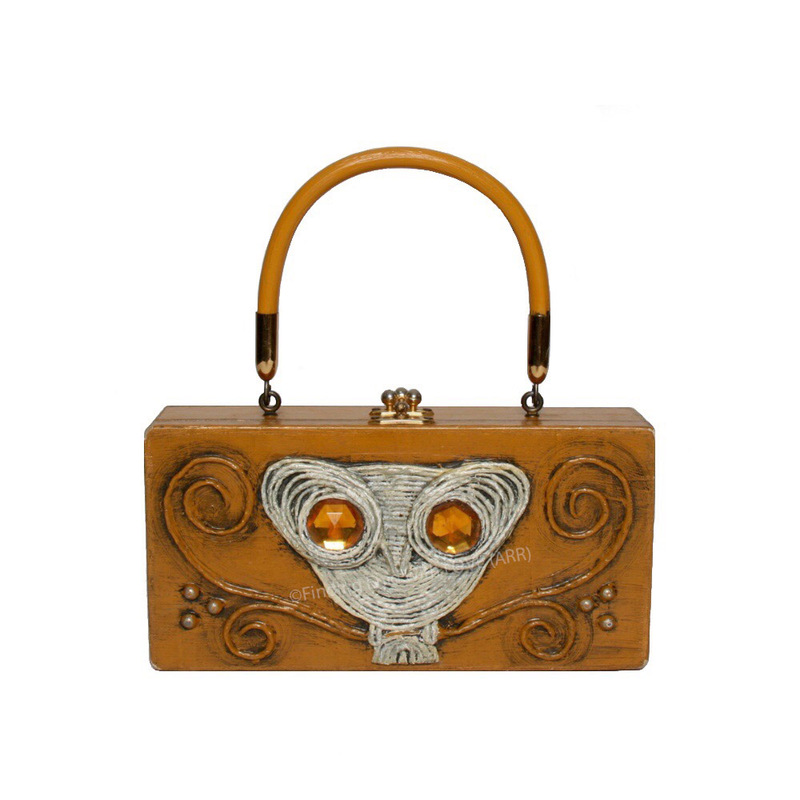 Box purse of solid wood finished in antiqued caramel color and decorated with a white papier mâché owl sitting on a sinuous branch. Owl's eyes decorated with large amber faux gems. No title on purse itself.